Lucius Tarquinius Lepidus, Mark Atilius and Tiberius Aternius were all sitting next to the fireplace drinking good wine and talking about their adventures. It was a miracle no one got hurt, and the group of Huns were satisfied with Marks answer and released Lucius. - Where do we go? - Mark asked Lucius. - You haven't changed your mind about Egypt, have you? – No way! As long as I am alive, I wouldn't have any doubts about that. - replied ex-architect. – Memphis, Karnak, Giza – I want to visit them all! But first of all, of course, Giza and the great pyramids! However, after all that’s just happened, I am not in the mood to travel alone anymore – he added. – There are lots of Egyptians everywhere since the borders are open. One of those 5 caravan drivers surely goes to the right place. But how can we find out which one of them travels to Giza and when? I started learning their language only a month ago and they don't talk Latin. Can you find out which one we need to travel with? This is what Mark found about the 5 caravan drivers. There are 5 caravan drivers standing next to each other near the marketplace. • The man in a green tunic is Ahmed, he leaves at 05:00. • The man in the middle owns 12 camels. • Mustafa leaves at 05:45. • Omar owns 15 camels, and he stands to the left of the caravan driver in a green tunic. • Just right of the man in a blue tunic is the one who goes to Memphis. • Karim leads the caravan to Thebes. • Next to the man in a black tunic is a caravan driver who owns 14 camels. • The caravan to Karnak leaves at 06:00. • At 05:20 a caravan driven by Youssef leaves, and he is standing just on the right of the man that goes to Memphis. • A caravan with 16 camels heads to Alexandria. • Next to the driver who leaves at 05:20, is a man that owns 13 camels. • The man standing on one of the edges wears a red tunic. • The driver with 12 camels leaves at 05:30. • The men in red and black tunics are standing next to each other. • The caravan to Alexandria leaves town at 05:00. Task 5: Who is wearing a yellow tunic? 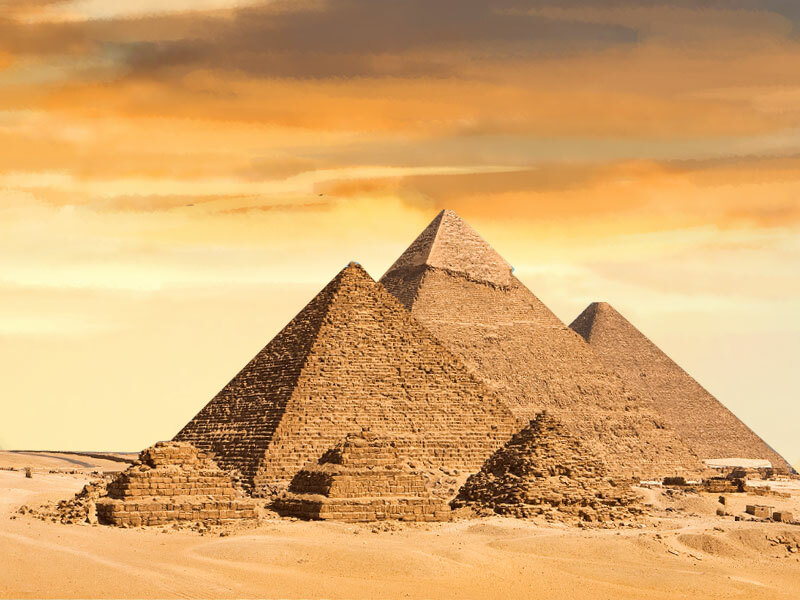 Which of the caravans goes to Giza ? This task will require 2 days to solve, so announcing the winners will be on Monday. Omar wears yellow tunic. Youssef's caravan goes to Giza. Youssef takes 14 camels to Giza at 5:20, wearing red. He's on the far right. Post was edited 2 times, last by Tiny Clanger_UK ( Sep 17th 2017 ). Pretty time consuming task,had to bring out a sheet of paper for this. Omar is wearing a yellow tunic. Youssef's caravan goes to Giza. Simply pissed because I didnt know about past 2 questions because no1 posted them on Info box. I understand that I should read more forum but I´m not familiar with the forum as others who knew about this hero adventure quests. Omar wears yellow, leaves at 6:00, owns 15 camels, going to Karnak and standing on the left edge. Ahmed wears green, leaves at 5:00, owns 16 camels, going to Alexandria and standing just right to Omar. Karim wears blue, leaves at 5:30, owns 12 camels, going to Thebes and standing in the middle. Mustafa wears black, leaves at 5:45, owns 13 camels, going to Memphis and standing just right to Karim. Youssef wears red, leaves at 5:20, owns 14 camels, going to GIZA and standing on the right edge. Omar is wearing the yellow tunic. Omar is wearing a yellow tunic and Youssef's caravan of 14 camels leaves for Giza at 0520. Omar is wearing a yellow tunic. Youssef has a caravan of 14 camels and leaves for Giza at 0520. Omar is the one who's wearing the yellow tunic. Youssef's caravan is going to Giza at 05:20. Post was edited 1 time, last by Tombo457 ( Sep 18th 2017 ).